Tinting 15 yrs, never used a plotter, going into business full time in May and would like to have one. Customer mentioned he had a plotter that he bought for his wife to start a sign business a few years ago. She ended up going to work at the bank or something. Plotter has been setting in his basement. He bought it used as well and doesn't know much about it, said he saw it work before he bought it. I went and looked at it and it's a 48" Q100 which i'm told was made for sign warehouse by Graphtech. Guy wants a $1000 for it. I called TintTek to see if it would work with their software and they say it should. Just wondering what i should be looking out for. Its going to need blades at the very least to work for tint and a good cleaning. Anything else i should be looking at or considering? 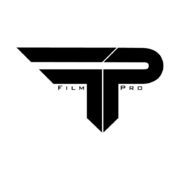 If you want to be sure, see if you can load a software/drivers onto a laptop(the company that offers you a window tint and ppf software will be able to set you up), Try contacting brett from film vinyl designs, i think there software will work with almost any plotter. plug it in and press cut. I'm pretty certain you will be fine for 1000 you can pay off that machine with one nice ppf job, our 3 window tint jobs. Thanks, I will look into Vinyl Designs. I know anything purchased (used) is a gamble, i just don't know squat about plotters, lol... I figured it would probably work ok. They will remote access your laptop, set everything up from there end and press cut for you. It will be easy because you can chat with them when you do it. Just ask for the sellers patience. It does work because I have two locations in both locations are use Tinttekwith the Q 100 plotter. Both work great and have never had an issue with them since owning them . One was a well used plotter that I also got for $1000 and ironically enough I got it originally as a spare and I end up using it more than the one I bought new. Don't forget to look into consumables like blades and the teflon strip that goes across the area where the plotter does its work. Order appropriate spares well before you need them. No point getting angry at a machine that can't do its job for you with dull or worn out parts. Great plotter, use one everyday. Sign warehouse for cut strips and you can buy blades and blade holders on eBay from China and they work great and last long. Super cheap. New cut strip and blade together every time no short cuts.